Channel chain, ss29 size, dark multi color, gold plate, Swarovski. 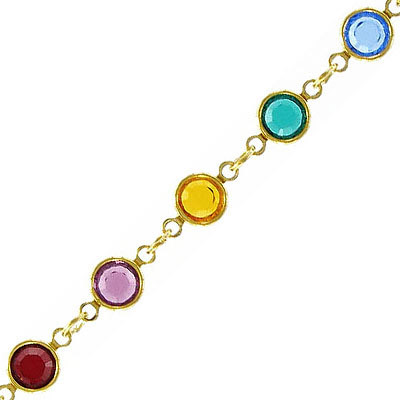 Frabels Inc.
Channel, chain, ss29 size, dark multi color, gold plate, Swarovski. (SKU# RHCH428/DKMUG). Minimum order is 1 meter.